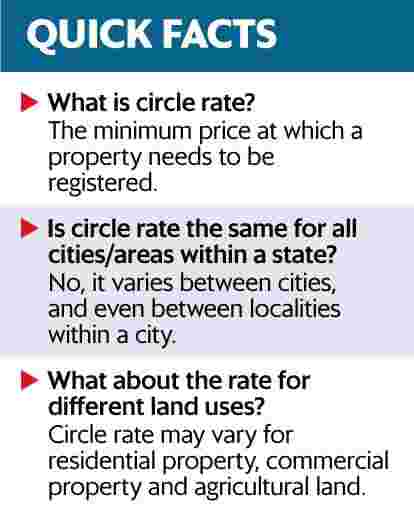 Circle rates are reviewed by each state government from time to time. Effective 9 April 2018, circle rates in Gurgaon were increased by up to 20%, barely two months after the rates were raised on 12 February by 10-15%. The Maharashtra government also reviewed the circle rate (known as ready reckoner rate in the state) in April for FY2018-19; it was kept unchanged though. “It is evident that effective property prices have come down in Gurgaon over the period. Government must be having other objectives, but the increase is certainly not as per market dynamics," said Samantak Das, chief economist & national director – research, Knight Frank India, a real estate consultant. 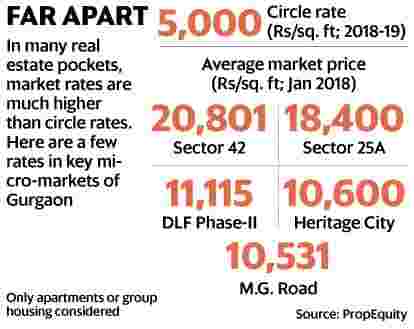 “Property prices are determined based on demand and supply,which is not reflected in the revision of circle rates," said Samir Jasuja, founder and chief executive officer, PropEquity, a Gurgaon-based real estate data, research and analytics firm. Developers might use the opportunity to say that prices will increase but that’s unlikely to happen. “Property prices are not expected to go up in next 1-2 years," said Jasuja. Das agreed, “Any significant price rise can be ruled out for at least a year."